Updated: 12/27/18 | Originally Posted: 06/02/2015 *This update consisted of added links and resources. This was my third visit to Ko Phi Phi. As I was there, I was reminded of how much I dislike it. In fact, I hate Ko Phi Phi. I think it is one of the most overrated islands in all of Thailand. I spent the last four days here with some friends of mine from Bangkok. We were here on a vacation from work. Originally, we were going to go to nearby Krabi, but when it was too quiet for them, we moved to Ko Phi Phi. 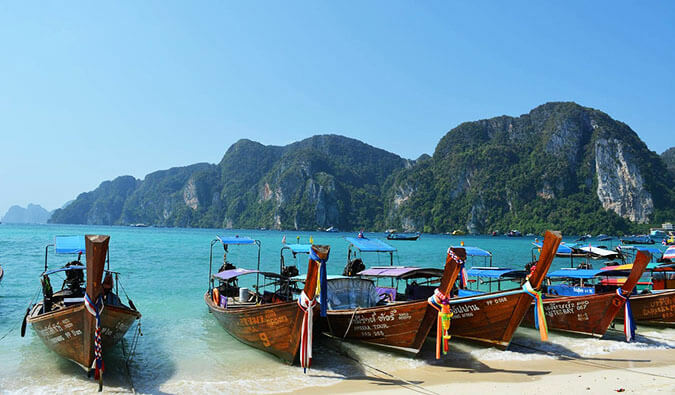 Ko Phi Phi is one of the most well-known islands in Thailand, and during the high season, it’s swarming with people. It was made famous first by Lonely Planet and by the movie The Beach, who used the nearby Maya Bay as a film set. Over the decades, this small island (it’s only 12 square kilometers!) became home to hundreds of high-end resorts. The island was a tragic victim of the 2005 tsunami and more than 2,000 people were killed here alone. After the event, many thought the locals and government would use this opportunity to rebuild in a more sustainable way. Sadly, that was not the case. The island has been so rebuilt that you would never know such a tragedy took place. Everything is right back where it was beforehand, there’s a brand new and bigger pier, and even more hotels blight the island. There are more boats here now too. I can’t figure out what people see in the island. First, Ko Phi Phi is overpriced. You pay double what you would anywhere else in Thailand. During the low season, a beach bungalow is 800 baht, double what I paid during the high season on Ko Phangan. A bucket of booze (the quintessential Thailand drink) is 400 baht, double what it is in Bangkok and a bit more than double what it is on most other islands. A cheap Thai meal is around 100 baht, triple the price of Bangkok. Then there are the beaches and the water. This is where Ko Phi Phi is supposed to shine. From afar the blue water and white sand beaches look like paradise. Yet when you look closer, you realize that looks are deceiving. One of the beaches is used by all the boats, so it’s a no go. There’s the main one in the bay opposite that a lot of people go to, but when the tide recedes, all that’s left is dead coral, boats, and ankle-deep water. That wouldn’t be bad—if it didn’t happen during the day! This leaves the most popular beach, Long Beach, which is a 15-minute walk from town. There you’ll find tons of people vying for the decent spot of beach. And, this nice part of the island, is now lined with resorts and boats. The inner bay, which disappears during low tide is filled with dead coral. There’s concrete everywhere. Buildings hide the beach. Unless you are on the private resorts on the north end of the island, you can’t be saved from the one thing that truly kills this island: the mass of long-tail boats. There are simply too many boats and too many engines choking the water. No matter where you go, you’ll notice that the water has a funky smell to it. Or that white foamy bubbles of waste and chemicals from too many boats and engines float on the surface. Or maybe you’ll notice the oil slicks and weird brown stuff in the water. Whatever you notice, you’ll notice that the water up close just isn’t as good as it was far away, and suddenly the cool dip in that blue tropical water won’t seem like such a good idea. Ko Phi Phi, like many Thai islands, suffers from overtourism. It’s simply too small to handle all the people brought to it. Hotels are thrown up, boats brought in, and ferries arrive to fill as many rooms as possible all while coral reefs are dynamited and overfished and as many tourists as possible are brought to gawk and feed the wild monkeys and take photos where Leonardo DiCaprio filmed The Beach. Since so many backpackers an the alcohol and music flow continuously, I think Ko Phi Phi is only good for one thing: partying. That’s the only reason to come here. To me, there are very little redeeming qualities to the island. Good marketing, pretty pictures, and a reputation for a good party keeps Ko Phi Phi alive, but if you want beautiful and unspoiled tropical islands, Ko Phi Phi is not the place for you. If you want beautiful beaches, visit Ko Lanta, Ko Jum, Ko Mak, or Ko Adang instead! There are so many other beautiful — and cheaper — islands in Thailand that I would skip visiting to Ko Phi Phi. Don’t contribute to the mass tourism and environmental destruction of the island. Save your time and money and go elsewhere. Paradise exists in Thailand. It’s just not here. Rock Backpacker – This walk-in only hostel has huge dorms, but it’s cheap, clean, and has its own restaurant and bar. Hanover Hostel – This is a classic backpacker party hostel. It’s cheap and the amenities are basic, but the staff is helpful and it’s easy to meet other travelers. Great article. I have heard nothing but amazing things about Ko Phi Phi, so to hear someone else’s honest opinion is refreshing. I am hoping to travel to Thailand next year. Your thoughts have made me rethink the places that I HAVE to see. Do you have any recommendations for islands that DO live up to their reputation? Or better yet, some place you like that is not as well known? This post was from 2009… wondering if you’ve been back and where you would recommend. We are flying out of Phuket to Bangkok to get home. So Phuket area is our last part of the trip. flights already booked. We have 5 days in the area. I was planning to do Koh Phi Phi but sounds like that might be gross based on your review. Is there anywhere nearby that I can get to from Phuket that you’d recommend now? First time i hear something bad on koh phi phi, but you’re right. It’s really overpriced and polluted on the beach with all the boats. I found the landscapes of phi phi pretty great though. it was a bit too touristy for my taste. Would you have nice islands to suggest in thailand (not only for diving)? What are your favorites? Ko Tao is really nice! I recommend it! Ko Lipe is ruined? Sad. I was there 5 years ago and loved it. The more you go somewhere the more you pick holes in it. I remember the first time I went to NYC I was blown away but after my second visit I began to dislike it and after a third trip I vowed never to go again! 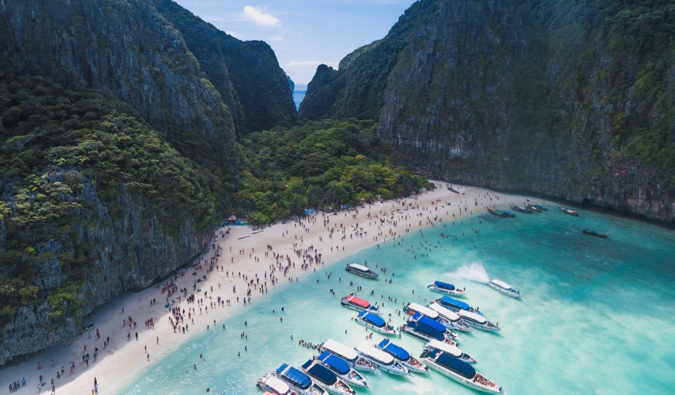 I agree with much of what you say about Ko Phi Phi, Maya Bay (“The Beach”) is far from a paradise destination but I imagine it was before Leonardo Di Caprio vacationed there (damn that Robert Carlisle for giving him the map!). I’m back in Thailand later this year and hope to see many more places. Great blog – I’ve added you to my Blogroll on my own. Great advice Matt. I always value the traveler’s word over a guidebook’s. I think when I head back to Thailand I will have to avoid Kho Phi Phi. I agree. I haven’t been there since before the Tsunami. I thought that they would keep it from over development. Too bad, pulling up on the boat, it is beautiful, but I hated it while I was there and only lasted 2 days. Ko Lanta, Ko Lipe were my Islands of choice. I did enjoy Raleigh even though it was starting to get pretty over developed as well, but at the time, not near as much. Cheers. Ko Lipe is the new phi phi now…its ruined dave and deb! totally ruined! I’m glad you wrote this post becuase I agree with you on being over rated. sometimes people go to these places because everyone they know has raved about it. The reality is it’s just another overcrowded, pricy place to stay. Looking forward to seeing pics about where you WOULD go if it were up to you. Well the place does look pretty from your pictures. Water looks calm, may be a great place for swimming too? Nice to see some honesty about a place like that. Note’s taken, and thanks for highlighting it. Nice of the author of this article to mention the people whose lives were destroyed in the Tsunami. Given your comments about Phi Phi only being good for partying, I assume you are young yourself and equally immature. Maybe if you didn’t have a hangover every day you could take a longtail boat out to the many places where you can find peaceful paradise you talk about. The fact is you chose to stay in the busy tow centre because you were on a budget. However, there are still great budget resorts which get missed by the 18-30s sheep that all follow lonely planet straight to the town. I bet you went directly to the full moon party, or came from there. You talk of high prices and being busy. Isn’t that contradictory. If the prices were high, wouldn’t it be quiet, supply and demand etc… The reason it is expensive is becuase if you just spend a little bit of money on taxi boats and get out of the town, the Phi Phi islands are some of the best protected waters and above water scenery Thailand has to offer. Krabi is impressive, but Phi Phi is the only island with hundred metre cliffs coming straight out the water, with lagoons and hidden beaches. Appreciate everyone has got an opinion, but mine is that you should maybe explore a bit deeper instead of following the rest of the budget sheep arseholes who don’t really give a f**k about the people who depend on the tourism after rebuilding their lives. Also, I see you’ve got some really nice photos of Longbeach. What’s wrong with that? Beautiful !!! I can see hundreds of metres of sand with very few people. Oh and as for the bad pictures of the pier and the beach, firstly how do you expect people to get here – air drop? Bigger pier to cope with the popularity, also maybe it will survive another Tsunami (all buildings now must conform to higher construction standards). And the beach is taken at extreme low tide, at the only point where treated sewage inevitably goes in the see. My advice is don’t go swimming next to the towns water treatment centre, go find a coral reef instead – perhaps Longbeach, or Runtee Bay. Also, why go to paradise and spend all the time partying, much better take a diving course or go on a shark spotting tour. Open your mind. You can drink and play pool back at the student union in Hull. Phi Phi is not busy all year round. Some of the best experiences are at beginning and tail end of “high” season in April and September. These are also Whale Shark seasons due to coral spawning. Weather can be changeable, but usually you will get blue skies and sunshine all day, with some impressive storms late evening, followed by blue skies again the next day. My advice is do your research better before you go somewhere. Unfortunately if you just turn up and expect to wander from the pier through the town, up the mountain, down the other side with your girlfriend and two bags each, your’e gonna get about as far as the sewage treatment plant before doing what this Nomadic Mat bloke obviously did and as a result felt cheated in someway. The photo are not misleading. The photos are photos. What you see is what you get. Ask more questions and maybe you won’t make mistakes like going in middle of rainy seasons or swimming on the wrong beach. wow. Thanks for stereotyping me because I did none of the things you said I did. For starters, this was an article about the current state of Phi Phi not the tsunami, which was a tragedy. However, I’m not talking about that, I’m talking about Phi Phi NOW. I have explored the island. I’ve taken day trips out to other islands. I’ve don’t the longboat tours. I’ve rented them on my own. (I don’t dive so I can’t speak for the diving) and you know what I still don’t like Phi Phi. Longbeach looks nice and it’s a nice looking beach but you still end up covered in longboat filth when you go into the water. Why should I do that when there are about 100 other nicer and cleaner islands to go to in Thailand? As for “sheep”, you strike me as one of those holier than thou, “I don’t use a guidebook so I’m a better traveler than you” so I’ll say this: you aren’t. I mention that the north side of the island with its private beaches and resorts will give you a respite from all those negative things but those places are hard to get too and not for everyone. So just because you avoided “the sheep” in the town, doesn’t mean you found some secluded place that no one else has found. 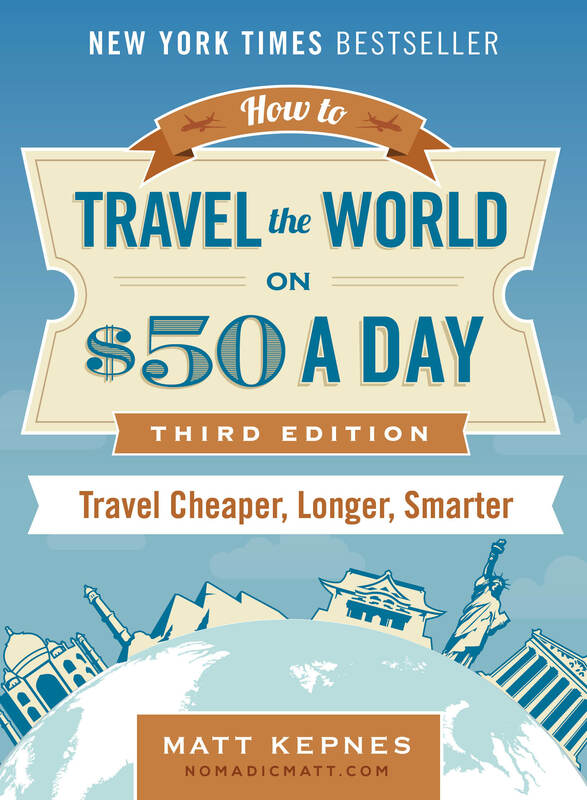 Convenience and price are a big factor for people when they travel. Me? I’d simply go somewhere else in Thailand. Phi Phi is not currently in the middle of the rainy season. I’ve lived in Thailand many years. I know the seasons. I know its the low season. I know its cloudier. I can still hope for sun. So your comment about not being sheep, and just drinking, is pretty much making tons of assumptions about me and my stay in Ko Phi Phi and my experience traveling. You can gloss over everything but it doesn’t change the fact that the beaches are dirty and water covered in a nice filthy film. But what do I know. I’m just a sheep. Apparently, you are the expert, and an expert who wrote a fake email address. I guess you weren’t too interested in the conversation huh? I see what you’re saying, but have to disagree. We stayed on the north end (Phi Phi Island Village) and yes, it was a little more expensive, but we had a private beach, and it was quieter. If you go into the town center, it’s crowded. If you didn’t go there to party, you shouldn’t be staying in the town center. It’s as simple as that. If anything, Phi Phi Lay was way overcrowded, but it didn’t take away from the beauty at all. It sounds like you had some bad timing, or something else went on to ruin your trip. As I said, if you go to the north part of the island you can escape this madness. However, not everyone can afford it because as you said, it is more expensive. Last year a friend convinced me to go to Phi Phi with them …. i wish i had n’t gone. My first visit was in 1995, when it was paradise. Next trip was a couple of years later, it’s fame had spread, and prices had gone up as quickly as the new buildings. “never go back” I said to myself. I had hoped people would make the most of the post tsunami reconstruction but I was disappointed. I saw rubbish on land, rubbish in the water, over-built constructions in case of a tsunami that will never happen again in 1000 years. Ko Phi Phi …… paradise no more. I’m glad I went in the 80’s, when there were just a couple of places to stay, and there were few westerners. Great post Matt, thinking about a trip to Thailand soon and haven’t been for a long time so it’s great to have an update. I also think thai Phi Phi island now is so cantaminated. I was there around April and found that it was disappointing. When I began taking a speed boat, I saw that there are many islands which are still natural. But when I stepped down to those, everythought was changed. There were a lot of a long-tailed boat, rubbish, and overrated tourists. I did a snorkling at Phi Phi Le island which is nearby Phi Phi Don island and saw only ruined caral with fish that already lost their natural instinct. Then, I took the boat to the Phi Phi Don and was felt so sad that everything turned into business purposes. The local people have to escape themselves from big resorts and lose their own properties such as their lands, and beaches. They already lost their own culture, own way of life. The environment there is being destroyed by us who only think that the travel is just a chance to spoil everything. Thus, it make a negative results to something outside our bodies. However, we cannot deny that we can avoid such spoiling. But, at least, if we rethink it with our conscience, maybe we all, as tourists, can rebuild that beautiful places to came back again. My friends and I have plans to go Krabi this November. We talked about breaking a night from Krabi Ao Nang. That takes us to decide whether its Phi Phi or Lanta. Everyone has their own point of view on Phi Phi. I’m wondering if anyone could provide some insights on Lanta? We just want a good beach and pristine sea, lay back and relax with a bottle (or maybe 2) of beer in hand. I’ve been to PP numerous times over the years including a week after the tsunami. As tragic as that event was, it presented Phi Phi with an incredible, once only opportunity, to reinvent itself — unfortunately it didn’t. Sure there is a water treatment centre there now, but the island remains hopelessly overdeveloped, with nowhere near sufficient infrastructure to handle the volume of people it gets. As Carl says, lack of planning, corruption play a part — as does very liberal interpretation of land title, greed and no shortage of travellers and tourists who don’t think about the problems their custom creates. A completely different resource set is required to support private pool villas as opposed to thatch huts with shared toilets out the back. All in all it’s a microcosm of so many of the things that can be totally screwed up about Thai tourism — it’s just a shame it’s on a spot that was once so beautiful. You should read Ecotourism and Sustainable Development by Martha Honey. It’s not dull, I promise. I learned alot about how cruise ships and budget tour operators screw ecosystems and people. It’s only 4 bucks used on Amazon ! I don’t know of too many “unspoiled” islands in Thailand. So many are prey to the aggressive tourist industry: Ko Phi Phi, Ko Phangan, Ko Samui. 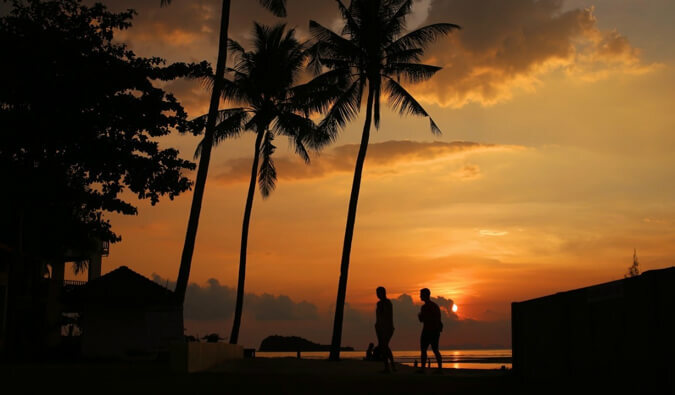 Ko Tao is on the lighter side. The islands near Malaysia are the best. They are the least developed. We are doing the “reserve” trip since we came from Malaysia and worked our way to Phuket (most people seem to start in Phuket and go South). When we arrived in Thailand, we found some amazing islands in the Trang Province. Not too crowded, pretty cheap, friendly people etc. I don’t know Thailand that well but I’d say Trang Province has some awesome islands. Bad spelling, “reverse” trip. Duh. Sorry, long backpacking day! Ko Phi Phi would be the perfect spring break destination. I was there in 2003 and indeed it sounds like nothing has changed. When will the international airport finally be built? It’s interesting the way it’s changed over the years. My only trip there was in 1997 and it was still good value, DiCaprio’s movie hadn’t been released and I enjoyed the week or so I was there. That said, it didn’t wow me even then, and I’ve never had the desire to return. There are many other places in Thailand that I’ve made multiple trips to, but Phi Phi, nice as it was, didn’t entice me back. 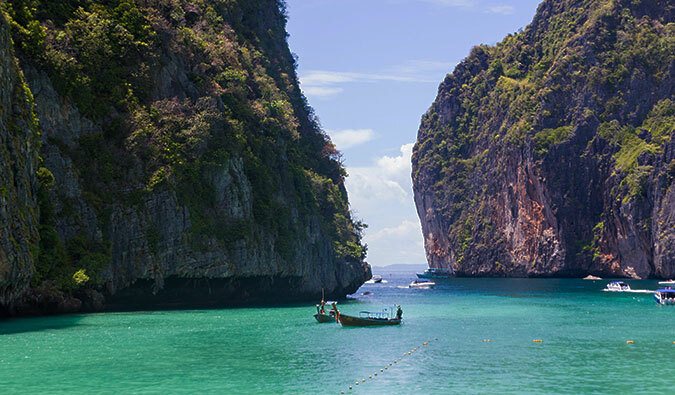 Thailand has many, many, many islands that are far far better than Ko Phi Phi. People just fall for the hype. thanks for confirming why I have never been there … of course there are lots of places like this all over southern thailand ( and every tourist destination in the world) . however there are many great places too. hi i really wanted to go to phi phi but have been put off now, me and my friend are travelling in june to bangkok then to krabi ao nang, which island would you recommend to go to for beauty and nice sea? how would we travel to the island? and what price ranges are there? I think its normal if locals try to make a living from their popular tourism destination. Most inns do cost more than 800b, but there are also the ones that cost 400b, or even, 250b. Food there are gettin their “touristy” menu, but there are also small local restaurants, good ones, that would cost you only 30-40b for a big portion of rice, chicken/seafood and vegetables. Basic rule applies everywhere, including here: Know where to look. But I do agree with the pollution there. Damn long tail boats, they should make one exclusive pier just for the boats so other lazy sunny beaches are “safe” from their oil. As a regular visitor to Phi Phi, I feel compelled to disagree with much of what is written in this blog. We have been visiting at least once a year since the mid-nineties and still look forward to every new visit. If the blog had been titled ‘Tonsai Village at Phi Phi Don’, it would have been reasonably accurate. But as a description of Phi Phi Islands, I think it’s way off mark. Firstly, and I don’t mean to be pedantic, the tsunami was in 2004, not 2005. Secondly, everything is not right back where it was before and many lessons have been learned. The Tonsai Village of to-day bears little resemblance to that of pre-tsunami days. I too, hate Tonsai Village. It is pretty much exactly as you describe. And yes, the best areas to stay, are to the north of Phi Phi Don. However, that’s about all I can agree with. There are many budget range places north of Long Beach. It’s not necessary to go for the up-market places. 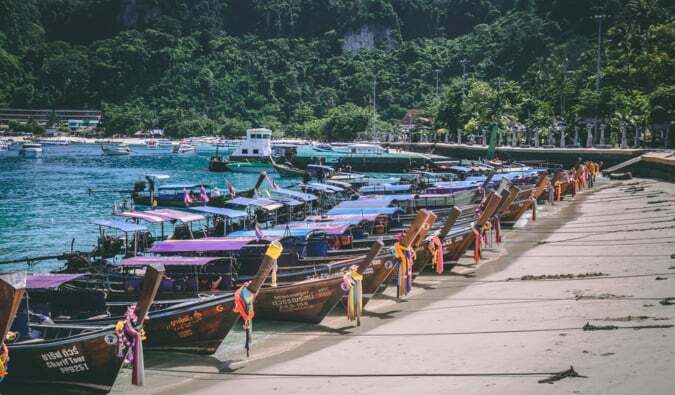 Some examples being, Ao Toh Ko Bungalows, Rantee Hut, and behind Phi Phi Island Village, at Lana Bay there are some cheap basic huts, located in a bay which is often pretty near deserted. In truth, there are a fair few budget options away from the chaos of the main village. I have always found the sea to be crystal clear and offering magical snorkelling. In short, I say that Phi Phi is worthy of it’s reputation as a ‘paradise island’…..so long as you visit the right parts. I agree with Leigh Travel club. If Thailand is so bad then don’t visit. I agree that it’s become way too touristy but many people like that, they want a bit of liveliness when they go on holiday and if that’s what they want then Phi Phi is perfect. There are lovely views, most of the waters are really and the diving is amazing. People that don’t want too many tourist will choose to go elsewhere, all they need to do is a bit of research. And as for the prices that you have quoted, this is a little bit inaccurate. Many of the bars have offers on and mostly you can get a bucket for around 150 baht. There are also lots of cheap bungalow on the beach for around 400 baht but if you want a bit of luxury you have to pay a bit more. I’ve been to my fair share of tropical islands, including the Togian Islands in Sulawesi, Indonesia (which are paradise and almost deserted) and they all have their appeal, so what I’m saying is don’t listen to Nomadic Matt too much, he seems extremely picky about where he likes to go but just because he doesn’t like Phi Phi doesn’t mean that you should write it off. I am currently living on Phi Phi so if anyone needs any advise please feel free to ask. I will give you an honest, unbiased opinion to help you decide whether you want to visit. So, where is the best place to stay? I would like a place that has everything at my doorstep but also access via boat to town if I would like! I like Long Beach a lot. We are leaving Phi Phi tomorrow and I really didn’t like it. First time in Thailand, we were coming from the South, from Malaysia. We’ve seen very nice place around the Trang Islands and Phi Phi, the so-called “paradise place” was a huge disappointment. I’ll get over, we still have a lot to see in Thailand! But really don’t understand the people who swear it is the best beach in Thailand. Seriously guys? Well, you clearly haven’t been out much. We took a half-day tour to Maya Bay (like everybody else). The boats were packed and the water was dirty. The place is overdeveloped and way to expensive for what it is. People like it because they want to get drunk and get laid. That’s it. I visited Koh Lipe in 2003 and found it to be the best island I have ever been to. I have hit almost all of them since then, and I read that it has changed drastically from some of these posts. Can someone who has been their recently please fill me in. I am planning a trip back soon. Thanks. Sadly, from what I hear, it’s like Ko Phi Phi now! We arrived in Koh Phi Phi yesterday having travelled from Koh Lipe. Lipe was magical, although it is low season, aparently it was very busy two weeks ago. Would be very interested to hear if you found a better place? I found that my distaste for PP, hit me as soon as I got off the ferry and wandered through, what is basically, a market sandwiched between two beaches and a sewer. I was tempted to get straight back on the ferry to Krabi. I would leave right now, but it’s Thai New Year (Songkran) and we’re kind of stuck here for three nights. I’m counting them down. Understand that I was really looking forward to Thai New Year, but it has just served to emphasize the alcohol fueled mayhem. Beneath that brown foam of which you speak, (what is that stuff anyhow? ), there now lies a layer of broken glass. I was searching the internet to see if anybody else shared my opinion of Koh Phi Phi and to work out where to go next. So, despite this being an old post, I was glad to stumble across it. I was glad to hear that you liked Koh Tao aswell, because after the last two days we were considering avoiding all such places from now on. I guess we’ll just give Phuket a miss and continue on our journey! I haven’t been to Lipe in years and I will never go back. I went there when it was really undeveloped and while it is still less developed than Phi Phi, it’s just not the same as when I went. I’ve seen too many pictures and heard too much from my friends. I would rather not go back and ruin the image in my mind. I can’t stand Phi Phi. It’s so over rated! I was sad to see you tweet about Phi Phi leh being built up now too! When I visited Thailand in January of 2005 Ko Phi Phi was not an option as it was only two weeks after the devastating tsunami. I might have gone there had this not have occurred. Now, thanks to this review, I will not go as I do not like overcrowded and over rated places. It is not the crowds so much I mind, but the fact that is over rated. If it is crowed for a good reason then it might be worth seeing, but if the beaches are not that great then why bother. Back in 2003 when I visited Kho Phi Phi I had the time of my life and loved every minute being there. It was before the tsunami occurred so maybe it has been rebuilt completely differently and lost some of its character. I also travelled there out of season so it was quieter. Maybe if you are going to travel to some islands but prefer them a little less crowded, then perhaps you should travel out of season too. However I don’t like many of Thailand’s Islands and if I recommend places for people to visit I always suggest Krabi. Different courses for different horses though! I find the general rule of avoiding anyone who professes to enjoy “partying”, and uses that specific verb, is an excellent one. And any destination that majors in “partying”, by default, will be borderline hellish. June and July is really off season for Phi Phi, which is why you saw fewer people. Hey Matt, I know this is an older post, but we are in Koh Samui now, and where thinking of going to Phi Phi, not so much after reading this though. Where would you recommend going and staying in Koh Lanta? Have you camped on the south end? I’ve heard that is awesome. Lanta is one of my favorite islands. I would highly recommend it. Traveling to southern Thailand in a few weeks. Fly into Phuket and want to get out as soon as possible. Only have 8 days down there. Was thinking of splitting the time between Lanta and Krabi (with day trips). Traveling with 3 girlfriends. 3 of us want relaxation. One wants a night life. Is there any night life on Lanta? Suggestions to keep her happy? Hi Matt… We are going next year Feb, never been before, was told to do Koh Samui, Koh Phangan and then Koh Phi Phi… After reading this I have no clue what to do! Got to admit, I have a love/hate relationship with Phi Phi. It’s crowded, overpriced, lacking any semblance of authentic Thai culture and when it rains, it’s f****ng stinks. However, as a party island, it nearly rivals Phangnan, and that should be the only reason you visit in my humble opinion. We can all bemoan the loss of the “idyllic tropical paradise”, but let’s be frank, the floodgates are open and Phi Phi ain’t gonna go back to what it was, theres too much money at stake and the shady figures pulling the strings, short of a cull, are going nowhere. Which leads me to my next point, koh Lipe has been mentioned several times in the comments section, it doesn’t have the same party vibe as Phi Phi, it doesn’t have the cultural attractions of Bangkok, but for some reason, the thing it has in spades is overdevelopment. This is due to the displacement of the local Sea Gypsy population by some seriously connected figures in the Chinese Mafia, cue the bulldozers and the resettlements, it’s possibly the saddest story in Thailands long history of land to the highest bidder. I would advise anyone travelling there, or to any of the other Thai islands for that matter, to put some serious thought into which hotel you choose. If its big, brash and on the beach, the probability is that the original inhabitants have been shunted off by threats or force. Be responsible or soon the only thing left of Thailands islands will be a layer of scum on the beaches and fading concrete monstrosities. We stayed on Ko Phi Phi a few years ago for almost a week (probably too long). We stayed on the northern tip, which was much more secluded and pristine than this blog post would indicate, but I do agree with the assessment of the more touristy area of the island, namely Ton Sai. The downside to the remote area that we were in was that there were few options to eat/drink other than the resorts in that part of the island. After a few days/nights there we were really craving some time in Tonsai where there are people and options! Unfortunately, the only reasonable way to get there is by longtail boat and they stop running after dark. You COULD hike, but it would take about 3 hours and is over a VERY remote trail that you wouldn’t want to traverse in the dark when drunk. We had a good experience there but have many more island to explore. Hey Matt! Where would you recommend visiting in Thailand for a honeymoon? Something relaxing and affordable? After reading your blog about Phi Phi and some of the other comments I’m not really sure. Thanks! man i wish i had read this before i went! i was SO disappointed in all of the thai islands i went to, except Koh Lanta but i didn’t do my research. fail. thanks for keeping it real and being honest on here! as a new blogger , gives me something to look up to! Its a shame that movie was made. I like the director (Boyle) and some of DiCaprio’s movies are good but that movie sucked BIG TIME. I went to Phi Phi in 2004 and got out a week before the tsunami hit and I thought it was magical back then, but I was only 20 and was a huge party animal. Now I am my age and can only party about once a fortnight. I want to socialize but not with drunkin youngins like I was. I want to dive too. But most of all I want to stay in a relatively affordable nice pad far away from the hustle and bustle of the Phi Phi party. I arrive this Sunday. Any recommendations on where to stay? Just got back from Koh Phi Phi and totally agree with you. It’s probably twice as worse now as it was when you wrote this. The most frustrating part is the bullhorn which welcomes you with a 20 baht fee to ‘keep it clean’. It only gets worse from there. Amen, brother. Thanks for the article! You saved me time on my holiday plans. I was planning on going to Phuket and Ko Phi Phi but I strongly dislike overpopulated tourist beaches. It reminds me of when I went to Ibiza, Spain expecting paradise. It was literally a 24/7 party and I met may be five Spanish people out of the hundreds of british people. I was sorely disappointed. I just want to go to the beach with a few drinks and quiet. A few tourists can be refreshing but hundreds are overwhelming. By the way, I plan on travelling to Thailand in early May; do you recommend any places that wont be too wet by the monsoon season? And by places I mean beaches. I am in the same boat as DeAnna, planning on leaving april 29th and being in thailand for a few months. some people have said i shouldnt go until the ‘high’ season (none of whom have actually gone to thailand!) but i have faith i can still have an amazing 3month trip, but havent come across any thing on your site, i might have missed it, that recommends places in the ‘rainy’ season, thanks ! I wish I would have read this before I came! My friend & I are laying in bed, awake from thumping base at 2 am on what was recommended as one of the most beautiful solitudes on earth. The over development, over pricing, lack of care to the ocean & lack of overall conservation are GROSS. All the resorts & clubs have rebuild but the memorial 5 meters from our hotel door stands partially build, covered in graffiti. What the F***?!?! 20 Bt is collected from each tourist coming off ferries– where is this money going? I have a lot of respect for your travel advice now that you’ve spoke the truth of Phi Phi. I won’t be back. Hopefully, the government can get a hold on the conservation efforts. Any advice of what we can do? Head to Ko Lanta. It’s much more beautiful! I had an amazing time there, but I was up north and it was very relaxed and quiet, and we managed to escape on a boat often and explore “The Beach” area before it was swamped with tourists. I can see what you mean by the port area being touristy and somewhat annoying, but after being up north, it was kind of neat to see the other part of the island with its hawker stalls, and touristy beach, which was still amazing at low tide. But we weren’t staying there. Also, I was there in the off season, so maybe that is why it was SO amazing, but Koh Lanta was def one of my fav destinations ever!!! 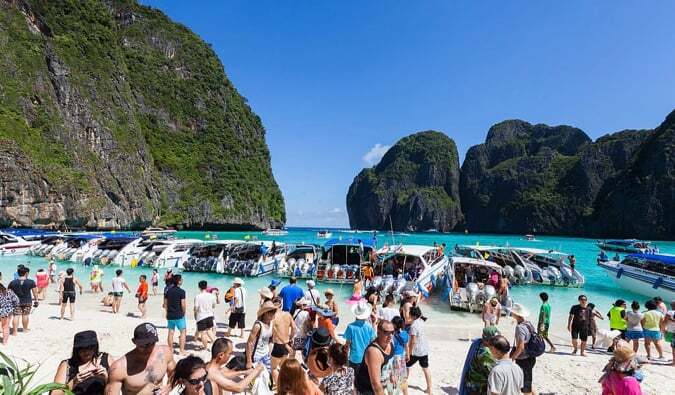 I am in Thailand right now (Krabi) I am doing some research to look for a paradisiac island to stay for a couple of days and this post was helpful, I will still go to Phi Phi to see with my own eyes but something tells me I am going to hate it. I have been in the north part of Phagnan and the south part of Koh Tao, which are really nice beaches (I am from Mexico so I have an idea of what a beautiful beach should look like), but I am still looking for “that” amazing beach and my bets are going to Lanta or Phayam. But the real reason of this comment was just to say that the cheap meals in the markets are around 50 Bath right now and I am talking about the south because in the north (Chiang Mai) is much cheaper you can find still around 30-40 bath, so the prices haven’t change that much since then. I went to Phi Phi in 2007 and stayed in the main town with all the craziness. Now my fiancée and I are getting married at Rayavadee on Railay Beach in June. After that, we are going to spend 5 nights on Koh Phi Phi. I have been going back and forth on where to stay. I don’t want to stay in the main town but want to be close enough to take her to party one night and see the crazy backpacker bars. I have been debating staying on the North of the island at Outrigger for 3 nights then in the main town for the last 2 or I might just stay all 5 nights at PP the Beach resort on Long Beach which has good views and better snorkeling right off the beach. Have you stayed at either and any opinions? We just stayed at the former Outrigger resort (left there earlier today) and it was nice. We considered staying in town another night or two in PP but after a few hours walking around we decided to get the hell outta Dodge. The town was like a hybrid of CanCun meets Nola. My wife and I really enjoyed the north side of the island and it was nice and laid back. However, it was pretty pricey (although deals can be had for about $130 a night). There’s a small village behind the resort with some good food and a couple low key bars and fairly more reasonable prices, but still a deal more expensive than where we are currently at in Ko Lanta. We enjoyed hiking the trails and viewpoints through the jungle from the north side to Tonsai, but if you are going in June when it’s supposedly raining fairly often, I wouldn’t recommend hiking as the trails will likely be washed out and slippery, which would no doubt make them very dangerous. But yeah–if you’re cool w/ $150+ a night for a room, spring to stay at one of the north end resorts, and it’s not bad… night-life is a little bit slow there, but there typically were a few folks patroning the bars in the village… just more in a jimmy buffett kinda way–not a spring break sorta way. I am sorry to hear the less than ideal experiences that you had at Koh Phi Phi. It must have been a challenge to observe the current reality of it all but then, to understand the impacts of unsustainable tourism further fuelled by the movie’s popularity, you can’t help but contemplate, what it would have been like 30 to 50 years ago. I have to admit, it pains me to hear the negative stories about the islands. The issues of over-development and a marked increase in tourists without effective regulation come at a great cost, even when we like to think about the short term benefits of commercialisation particularly in the demographic, social and economic changes to the local people. Fortunately, at the very least, we have the power now to create a sustainable tourism plan to preserve its marine national park status for future generations to come. I will still be going to Koh Phi Phi this year though, but I will keep my expectations low. I do prefer a secluded island experience, similar to one that I recently had at a family owned B&B resort in a private beach at Redang island in Malaysia. The chalets that we stayed in had an incredible view of the beach with powdery white sands and crystal clear turquoise waters. The main advantage of the resort was its secluded location where it is quietly tucked away in a beautiful surrounding forest and greenery. In addition, the staff were really friendly and that allowed us to feel completely at ease with the environment. Initially, I had a plan to head to the Philippines, as I heard great things about their islands (Kalanggaman, Malapascua, Palawan) but I decided that I will be traveling to the Maldives instead after Thailand and Malaysia. I hope that these places will last the test of time, but sadly, once a paradise is found, people will find ways to exploit its beauty. Once again, thanks for sharing your insight on Koh Phi Phi, I appreciate it. I wish you all the best in your travels Matt. Have a great day!!! Need to find somewhere where there are no Americans or Europeans. Also, I note the author didn’t Scuba or even snorkel..so basically hasn’t seen 80% of the place. Go to Ko Phi Phi to dive. I’ve got 70 something dives, and Phi Phi is one of the best places I’ve ever gone. Much better than Ko Tao, which while cheaper is nowhere as interesting. Go to Ko Tao to get your certifications cheap, then spend two or three days diving in Ko Phi Phi, then the Similan/Surin Islands. They’ll take you to Richilieu Rock by speed boat at the right time of year from Phi Phi, too. I stayed in Phi Phi back in 1990 and it was like paradise. I feel privileged to have seen it back then and after reading these comments it just confirms that I made the right choice not to go back. I’ll just remember it as it was back then!! ? …Shame how the lack of careful control ruins places for pure greed as it could have still been paradise now! Will they ever learn…probably not…next!! Wanted your opinion on this: heading to thailand December, and am torn between spending nye on koh lanta or koh lipe. I want to do some day tours and from koh lanta i can see the emerald cave and koh rok and of course cliched koh phi phi and maya if i need to see those again. From koh lipe – nothing looks amazing! Am i thinking right? The beaches on koh lipe look fine…but….what’s around koh lipe that will be amazing? i feel like even though the koh lanta nye parties look….super laid back and i don’t know if i can stand reggae all night, who cares, the day trips to beaches look fabulous. What do you think? At least nye at koh lanta looks..somewhat more unique than at Koh Lipe.. – a mini version of koh phi phi…been there done that. Traveling to Krabi mid November and haven’t been able to decide where to island hop to from there. We will want access to hikes and snorkeling – activity type of people. But at the same time want a beach where we can just sit in the sun… The Vista Point at Koh Phi Phi is calling our name, but from what it seems Phi Phi is a hard place to escape crowds. I know the North Side of the island is better, but is difficult to get to…. Some of the site I’ve been seeing have said there is no direct road and the only way is long tail boat. Is that correct? Just trying to figure out how difficult it would be to get to the town etc. Depending on where you are staying on the north side a long tail will take you 20-30 minutes. There are smaller villages on the north side that have bars and restaurants so you would probably only go into town for one night. There isn’t much hiking but a few trails that you can take to the top of Phi Phi viewpoint. So if money weren’t an issue (reasonably say $110/night) staying on the north east area of the island would you still consider going to other places? Going with my mom and she is picking up the tab (lucky me!) before I set off on my very budget adventure and I am trying to decide whether to stay on West Railay/Ao Nang for 5 nights or do two in Railay and 3 on the northeast area of Phi Phi. It just looks so amazing but I definitely want no part of the crazy parties and the dirty water. Decisions decisions! Hi Matt, thanks for sharing your travel experience – I enjoy reading your posts. I agree, the Koh Phi Phi is not a very nice place. I went there several years ago in 2004 and at that time it was my favorite spot in the world, specialt the Maya Bay. Time went and i came back in 2013 and it looked like a broken toilet. The Maya Bay was so crowded and filled with dirt. Even the water was dark couldn’t even see through it. There were near a million boats and it smelled like a motorway. Sad. Very sad to destroy the nature like this, for earn a few $$. I won’t go back there again. I saw several spots in the Filippines much more pretty and free from the crowds. Thanks for the post. Currently in Thailand and have constantly been told about how grat koh phi phi is, but I personally don’t favor the party scene. Glad to know I won’t be missing out too much. Thanks for also putting in pricing in perspective, makes it easier to budget. Hi Matt, just came accorss this travel blog. 100% agree with you. It is one of those things you tick off maybe once in your life. 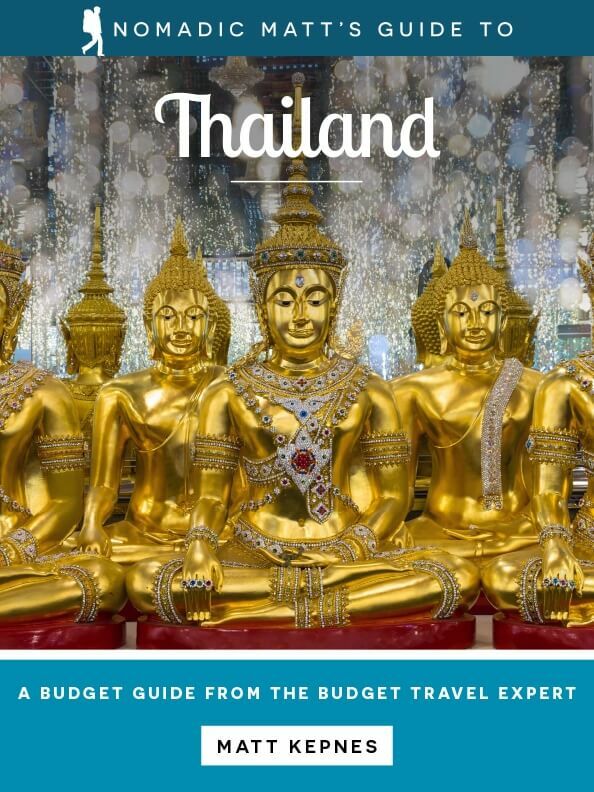 I would rather recommend doing a day trip to the island from Phuket or to say max 1 night as it is over priced. We loved Phuket a lot more, especially Kata Noi beach. I am in Phi Phi now (August 2016) on my 4th visit. I stay in Laem Tong which is gorgeous. Clean, quiet, just a couple of sea gypsy restaurants and a couple of nice resorts, and a small village about 20 mins walk away behind the outrigger. It’s a 30 min long tail boat ride to Tonsai if you do want to visit for any reason. I don’t go to ANY place in the height of peak season – to go at that time and complain about crowds is just ridiculous. I went to Koh Lanta and the beach was all boarded up with everything closed because the island largely shuts down out of season. I agree with many of the comments here that if you are one to follow the masses, travel in peak season, and go to the main touristy areas, you can expect the drawbacks that come with that. I love Phi Phi and many other places in Thailand, and am happy to visit and support the economy – you will not find me complaining that THB 100 (about AUD$4) for a meal is expensive!!! I have been staying bin Yangon but am hoping to head over to Thailand on an impromptu trip. I was originally thinking of going to Ko Phi Phi. I was hoping you could recommend an island that isn’t over run by tourist but is still lively. I’m travelling alone so I’m always hoping to meet fellow travelers to connect with. Hopefully, somewhere on the cheaper side since I have the budget of a jobless 20-something (because that’s what I am). Thanks for your time and for writing this post! P.S. I love your blog and it’s always very helpful when I’m travelling (most recently in Nicaragua). So, thanks! Headed to Phi Phi Don April/May 2017 and saw your blog and now backpedaling. Luckily we can stay high end. Would you recommend still the north part of PhiPhi Don or another Island? You had mentioned earlier (years ago) Ko Lanta, Ko Samet, Ko Jum, Surin Islands and I’m off to explore those via internet, for secluded ish high end ish experience what would you recommend?